These toys look good enough to eat! These donut chews are made with natural, non-toxic latex and are gently stuffed for an enhanced chewing experience. 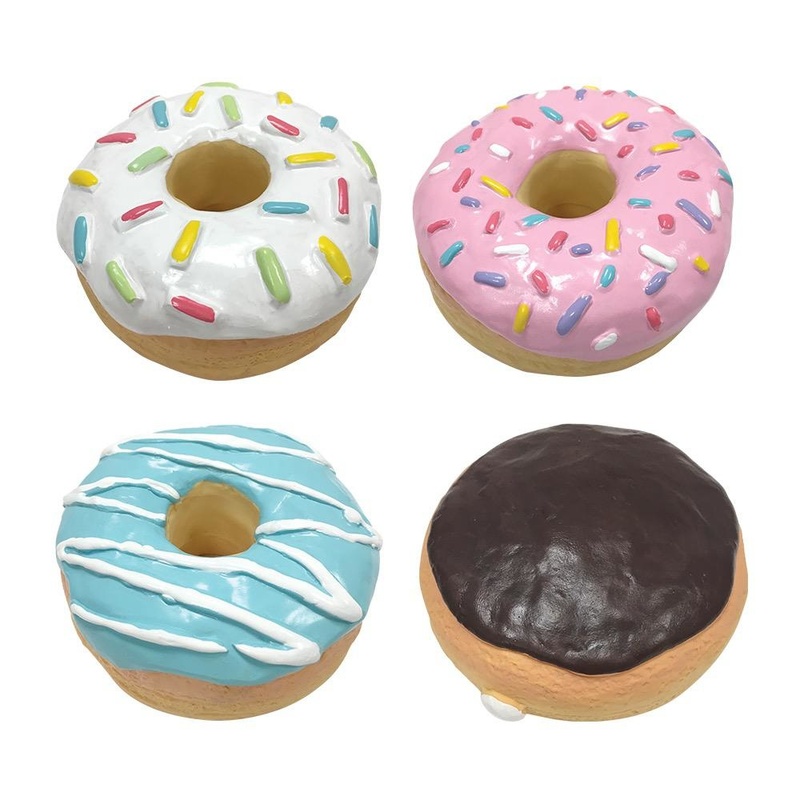 The texture of the donut has been carefully replicated so it looks incredibly realistic. Built-in squeaker will keep your dog entertained.